If you didn’t think computing’s future was both visual and mobile, then Nvidia’s decision to buy wireless radio startup Icera clinches it. 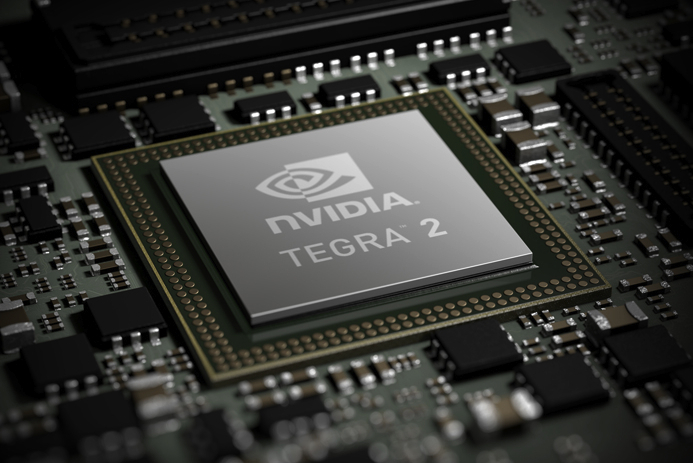 The $367 million cash deal will allow Nvidia (s nvda) to integrate Icera’s radios with Nvidia’s Tegra processors, setting Nvidia up for a competitive battle with Qualcomm (s qcom) in the mobile application processor market. That Nvidia has seen a way to move from producing graphics cards to becoming a key element in a variety of high-end mobile handsets and tablets is a testament to the shift that has occurred as connectivity reshapes the computing landscape. Icera is a nine-year-old semiconductor company that makes a baseband chip with the ability to listen to many different frequencies and technological standards in one small package. That means it can work on 2G, 3G and 4G networks that use different protocols — such as HSPA, HSPA+ and LTE — all on the same chip. The Icera chip is also programmable, making it far more flexible than one hardwired for a variety of protocols. Integrating radio technologies in future Nvidia SOC (system on a chip) hardware could lead to lower power consumption for mobile devices. Nvidia isn’t just banking on wireless computing, it’s banking on the kind of fast device design cycles that vendors such as Apple (s aapl), with its typical annual refresh, have ushered into the market. With a programmable radio, Nvidia can change-up the radio for customer’s demands at a much faster rate. Nvidia also plans to keep Icera’s other customers happy by integrating Icera’s processor with whatever other application processor of the customer’s choosing. This puts Nvidia in the baseband business and if Nvidia wants to pursue it, could result in Icera gaining some real market traction, given its relatively small balance sheet has limited the company to this point. The deal is an echo of Intel’s (s intc) decision to buy Infineon’s wireless business for $1.4 billion last year, as well as a vote for the Qualcomm way of doing things, which basically offers device makers an integrated application processor with a radio on the same chip. Other leaders in the application processor market, such as Samsung, also have their own radios, with Samsung investing in developing its own LTE chips a few years ago. Other vendors in the radio world have beefed up their application processor efforts, with firms such as Broadcom (s brcm) and Marvell (s mrvl) both pushing hard on the “brains” aspect of their chip businesses. This leaves me wondering where a vendor such as Texas Instruments (s txn) fits in, given that TI got out of the wireless baseband business to focus on application processors. Regardless of where individual chip firms shake out here, the deal is a clear indication that connectivity (and cellular connectivity at that) has become a must-have feature in computing today. Nvidia’s confidence in its ability to break into this market also shows how vastly different the mobile ecosystem could be, when compared to the staid Wintel architecture that dominated the PC era. Another example of Stacey Higginbotham and GigaOM’s exceptional and truly differentiated tech reporting. The implications of software-defined radio for mobile + cloud data are enormous. Qualcomm’s Steve Mollenkopf has previously spoken about fully software-controlled radio management that can hop and hand off data between different antennae and frequencies to optimize power/cost. But the world’s most popular radio for transferring IP data is the 2.4Ghz radio, aka WiFi which is a standard that is far more open than the more proprietary protocols that Qualcomm has historically pushed (CDMA and much of the IP for OFDMA-based technologies including LTE come to mind). This makes it difficult for Qualcomm to actually embrace this sort of stuff for maximum impact without disrupting their business model. Nvidea on the other hand, has a history of taking a less mainstream beachhead and using that to open up new areas (like the GPU being used for non-graphical processing). Genuinely could not be happier for the future of true SDR. Thanks Stacey, for some really great reporting. A 12 month cycle is not a fast cycle. Samsung, Motorola and HTC can release “sequels” to their phones after only 10 months, perhaps less now. Samsung Galaxy S2 was supposed to be launched in March, but they probably delayed it to replace the Tegra 2 inside it with their own chip (and upgrade it to 1.2 Ghz per core in the meantime). The Galaxy S1 was released mid-June last year so that would be a 9 month cycle. Lucian, I wasn’t trying to peg the cycle at one year, more just pointing out that they are faster as you clearly detail, and that Apple helped push those cycles. I would also say the rush of innovation and focus on the mobile market right now also helps. For example, I was crushed that the HTC Incredible II still had a 1 GHz Snapdragon inside as opposed to something more powerful. I think the reason for that is that Qualcomm didn’t have their dual core chip ready in time to be used in the sequel to Incredible, and HTC only uses Qualcomm chips (unfortunately). Nvidia (Optimus 2x/G2X, Atrix), Samsung(Galaxy S2) and TI(Playbook) all had their dual core chips ready before Qualcomm. The phone design cycle is getting shorter and shorter. It used to be something like 18 months or more in the early 2000’s. Now it’s 9-10 months – even for Apple but they intentionally keep launch them every 12 months, well except this year.